Want Glowing Skin Inside Out? Make These Dietary Changes STAT! 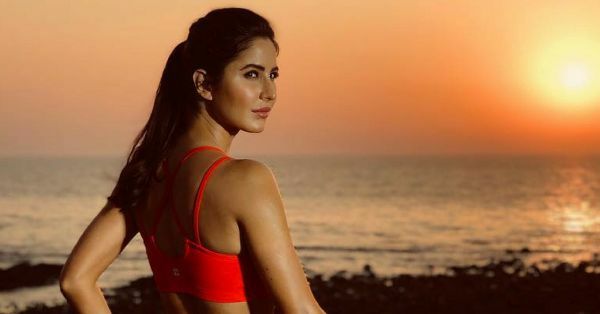 It's no surprise that good dietary habits are the primer and foundation for that glistening and glowing skin! So if you are tired of buying and trying new makeup products that promise to be the "highlight of the century" and the "answer to all your problems", maybe it's time to look inside. Literally! Look at what you eat, because you ARE what you eat. So if you're consuming sugar, processed foods, fast foods and other junk on a daily basis, don't wonder why your skin isn't your best friend. Gut health is very important, not only for your outer beauty but for your inner beauty. Sometimes, in spite of consuming a lot of nutrient-dense foods; our body cannot properly absorb the nutrients from the foods that we eat. Your gut has millions and millions of good and bad bacteria present inside it. The levels of these bacteria present in your body keep fluctuating on a daily basis; depending on what you eat. It's these bacteria that are responsible for the absorption and rejection of certain foods. Maintaining the balance between the good and bad is what keeps your gut healthy. Strengthening your gut and making sure the levels of good and bad bacteria are balanced is the key to staying healthy and looking good. Consuming the healthiest foods all day every day is useless if your body is unable to reap the benefits of that food. This is primarily because of bad gut health! 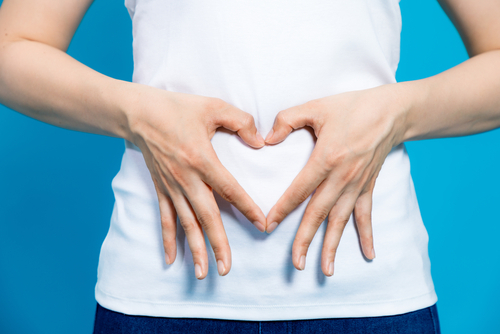 So how do you maintain gut health? The answer is probiotics! What Are Probiotics? What Are The Benefits Of Prebiotics? Probiotics are bacteria, and before you get grossed out; they are the good kind of bacteria. The kind your body needs! Consuming probiotics on a daily basis has numerous health benefits. They treat infections, promote healthy digestion and boost your immune system. Consuming foods rich in probiotics is the easiest way to get the recommended dose of probiotics into your system. 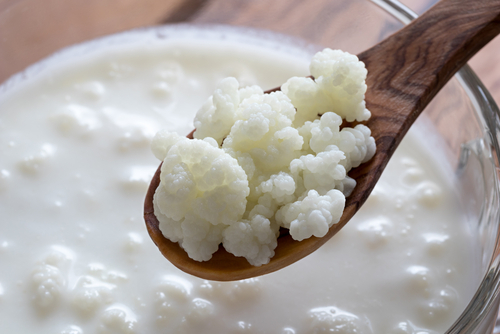 What Are The Foods Rich In Probiotics? Nearly every Indian house stores yoghurt in their fridge. We are familiar with the ingredient and have been using it with cooking for years together. While it helps build a stronger immune system, it also is good for digestion and reducing blood pressure as well. For people who suffer from gastrointestinal problems, they're usually prone to acne. Curd helps to keep skin moisturised and soft. In fact, the lactic acid in it acts as a natural exfoliator and helps do a great job at removing dead skin cells, pimples and blemishes. You should make a face mask of it sometimes. You can either drink kefir or apply it directly to your skin - either way, it works. For those who don't know what it means, it's similar to yoghurt. It contains yeast and good bacteria that are beneficial to both, your gut and skin. If you apply it on your skin, you'll notice that the texture of your skin will begin to improve. The redness goes away and the fine lines and wrinkles start to disappear. If you had to choose between kefir from goat or cow's milk, pick goat's milk as it's easier for our bodies to digest it. If you want a radiant complexion, you must try kimchi. It has a pungent taste, but it's loaded with good bacteria and probiotics. The bacteria is good for your digestive tract and it helps to heal inflamed skin. It's actually a staple in Korean cuisine and is made from fermented and salty veggies. You have to try it to believe it! Making kombucha a part of your daily diet is good for your overall health and digestive tract. It gives your skin a youthful appearance and masks it look fresh and healthy. Drinking three cups of kombucha tea a day will surely improve the skin's elasticity and give it a healthy glow. This Korean drink contains alcohol and is surprisingly packed with probiotics that are good for your skin and gut. It's off-white in colour and tastes sweet, tangy and bitter at the same time. It's a drink that's favoured by almost every Korean. No wonder they have such flawless and amazing skin. What Are The Foods Rich In Prebiotics? Apart from asparagus having high levels of potassium and thiamine, it also has vitamin A. This vitamin helps to protect the skin from the sun. While it prevents excess sebum production, it also keeps the acne and blemishes away. Have a salmon and asparagus roll once in a while and your skin is bound to clear up and look gorgeous. Did you know that onions contain not only one type of vitamin but 3? Yes, A, C and E. They're all good for your skin and act as a protective barrier against the rays of the sun. They're also rich in sulfur and that helps to clear skin out and prevent pimples from popping up. To make the most out of onions, you can make a thick paste with onion juice and turmeric powder - this helps to keep your skin look radiant, happy and healthy. Applying a little bit of garlic paste over your zits and blemishes goes a long way. You see, garlic contains allicin. Allicin helps to kill bacteria and prevents skin from swelling and inflaming. 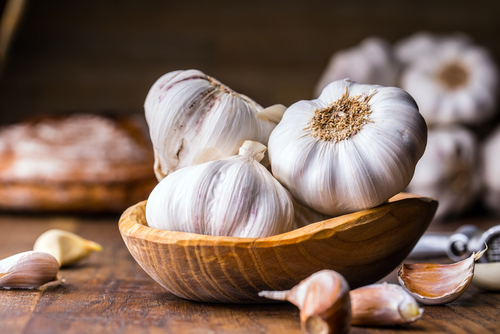 Make a paste of garlic and apply it on your pimples or whiteheads. In a couple of days, they'll be gone! The good part about leeks is that you can eat them raw or cook them. They're a rich source of fibre, vitamin B6, iron, magnesium and vitamins A, K and C. Making them a part of your diet will ensure that your skin stays youthful, clear and gorgeous. Honey is in fact packed with antibacterial properties and is a great ingredient to treat acne. It helps to moisturise dry skin and keeps it soft and supple for long hours. You can make a face mask at home by using mashed bananas, honey and oatmeal. Leave the mask on your face for about 10-15 minutes and wash it with lukewarm water after. More than the pulp, the good stuff is in the peel. Banana peels are loaded with vitamin A, B, C, E, potassium and zinc. If you have inflamed skin or acne, banana peels can help take care of that problem. Feel free to rub the peel on an acne spot and wait it out. After a day or two, you should see the difference. 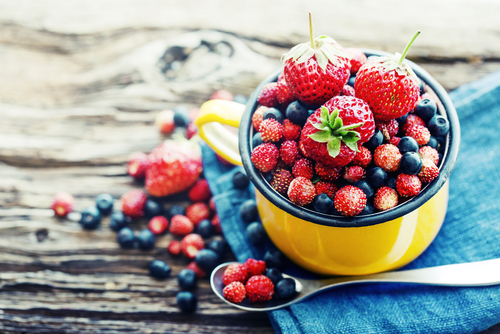 Love munching on berries? Well, you must know that these tiny fruits are amazing for your skin. They contain antioxidants that help improve your mood and the texture of your skin as well. Blueberries, raspberry, bilberries and strawberries - feel free to eat how many you want. Both seeds and nuts have antioxidants and vitamin E in them. They protect skin from free radicals and do a fine job at protecting skin from the sun and pollution. Eat sunflower seeds during the day and for almonds, soak some in water overnight and eat them in the morning for breakfast. If you want to kick it up a notch, combine prebiotics AND probiotics to send your gut into optimal performance. And there's no better time to do this than your first meal of the day...breakfast! Combine your morning cereal with some of these ingredients to make your breakfast into a wholesome skin glow-boosting powerhouse. This will also ensure that you stay away from those mid-morning munchies! Moreover, nutritious breakfast will keep you full for longer and boost your energy levels all day while the pre and probiotics will work from the inside out to maintain your gut health and keep your skin glowing! You have to cleanse your skin from dirt, bacteria and makeup residue. Stay away from soaps as they contain harsh chemicals that tend to dry out your skin. Start by using micellar water or regular vegetable oil to remove the gunk. Follow it up by using a mild cleanser and later, wash your face with lukewarm water. 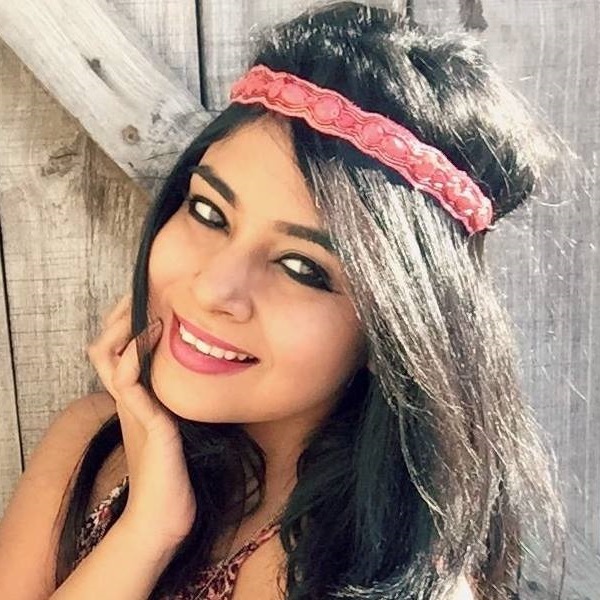 Toners aren't viewed as an unnecessary beauty product anymore. There's more to them. The offer hydration and make skin soft and supple. Don't pick any toner that contains alcohol or any other toxic ingredients in it, natural products like rose water and green tea should do the trick. They'll not just tighten your skin, but brighten your complexion as well! You can either spray the product on your face or pour a little bit of it on your palm and pat it on your face. No matter how tired you are, you can't skip moisturising as a step! Apply moisturiser on damp skin as your skin absorbs better during that time. When using a moisturizer, make sure that it works with your skin type. If you have dry and mature skin, you might want to invest in a heavy moisturizer. For combination, oily and sensitive skin, light and oil-free moisturizer should work just fine. Please take note that the CTM routine must be done twice every day! Once every morning and once at night. Along with the routine, make sure that you are drinking plenty of water and eating more veggies. In the first month, you'll start to see the difference. All you women who have dry and flaky skin should definitely consider giving coconut oil a shot. The oil not only helps clean pores from makeup residue but also keeps it soft, nourished and glowing. Here's what you gotta do! Step 1: Warm some coconut oil. Step 2: Apply it all over your face and neck. Step 3: Massage in circular motions. Step 4: Keep it overnight and wash your face the next morning. Lemon juice has natural bleaching properties and works like a charm when it comes to dealing with tanned skin. Instead of making lemon juice at home, you can make this face scrub! Step 1: In a bowl, add 2 tablespoons of lemon juice. Step 2: Add a tablespoon of brown sugar. Step 3: Mix both ingredients and apply it to your face using your fingers. Step 4: Massage the scrub into your skin and after 5 minutes, wash the scrub off with plain water. Papaya contains this enzyme called papain. When used as a face mask, it helps improve skin's complexion and makes it supple and radiant. Step 1: Slice a papaya into small cubes. Step 2: Mash it up using the backend of your spoon. Step 3: Add a quarter cup of fullers earth to the mix and drizzle some honey over it. Step 4: Now apply the mask to your face and don't wash it off until 30 minutes are up. Cucumbers are great for keeping your system cool. 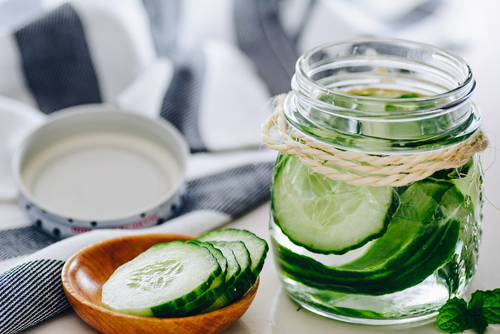 If you have any type of swelling on your skin, the cucumber helps to soothe your skin. Step 1: Grate some cucumber slices and add a cup of yoghurt to the pulp. Step 2: Use a spoon to mix all the ingredients well. Step 3: Use a brush to apply the thick paste to your face. Step 4: Wash your face with chilled water after 20 minutes. 4. Carrots Are The Best! Carrots aren't only yum, but they're good for eyesight as well. They have antioxidants in them and are benefit the skin immensely. Here's how to make the most of this veggie. Step 1: Take a cup of carrot juice and grate some ginger. Step 2: Strain the mix and pour it into a clean glass.